The plan is to move away from one title sponsor in place of a tiered system, similar to the one used by the NCAA. The premier series would simply be called the NASCAR Cup Series. A template for the Tier 1 package the sanctioning body has been pitching to brands comes in around $20M annually. That includes $15M worth of assets across the league and tracks, plus a minimum $5M media spend. When the model was originally announced, sources projected the sponsorships would sell for around $10M each. The new model would be unique in that it would include assets that have never been packaged with the series sponsorship, including title deals for NASCAR Cup Series races, TV-visible signage and opportunities to have brands involved with previously non-sponsored parts of the season. ESPN has been televising ACC content since 1979 and has exclusive rights to every conference-controlled game across sports and championships. The new network will air 1,300 live events a year on its TV and digital platforms, featuring the conference’s 15 member schools and 27 sports. It’s a fun game. Randomly scan followers on a hockey Twitter account and count just how many of them Zach Boychuk, a veteran of 127 career NHL games, currently follows on Twitter. Once you notice the Zach Boychuk phenomenon, it’s hard not to look for it. Boychuk, and his Twitter feed of life observations, hockey highlights and plugs for his sponsors, is a social media powerhouse. And it comes from an unlikely source. Wondering what awesome sports coverage you've been missing on The Athletic? Now is the time to find out. They're offering our readers 40% off subscriptions this week. Click here to get smarter sports coverage with no ads for $2.99/month. Giselle: “Immigrants, we get the job done”- motto of this first-generation Latina. After working the agency and broadcast side, serendipity brought me to where I always wanted to be – at a sports league office. Giselle: MLS Cup is the biggest priority right now. 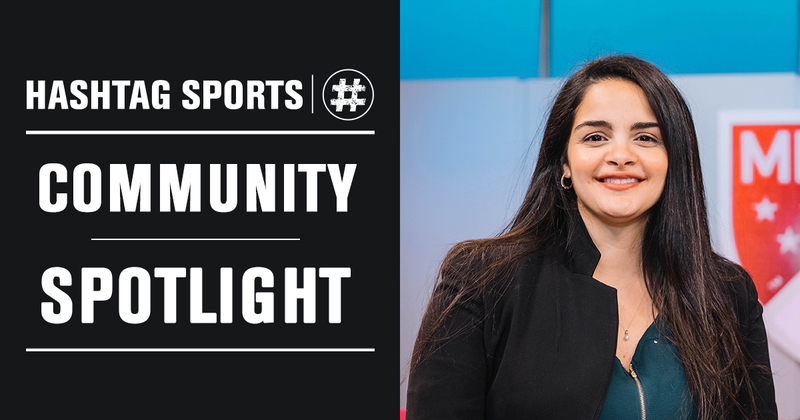 Our team’s LIVE strategy has come to the forefront in the past year so we’re hunkering down on what the league’s channels coverage plans in market will be. Of course, video is a crucial part of that and leveraging that content on our redesigned app that launched earlier this year will be key. Giselle: The same value and support for women’s sports. Organizations must push for more resources for training, development and support all around. Women’s sports cannot be the afterthought. A new US-based OTT streaming service is vying to overtake Netflix and Amazon Prime as the platform for niche content, including a portfolio across live sports and esports. StreamNetTV is on the cusp of completing a $19.8 million share offering on Nasdaq, following the launch of 70 live television channels last month. The Houston Rockets and Milwaukee Bucks continued to lead NBA teams in growth on Facebook and Twitter, respectively, in November, while the Philadelphia 76ers surged on Instagram. The Minnesota Timberwolves led Facebook in engagement for the month, while the 76ers pace on Twitter and Instagram was topped by the Lakers. OPINIONS: Boxing Hall of Fame broadcaster Al Bernstein thinks reports of the sport's death are "absurd"
The worldwide partnership will officially kick off for season five of the championship, which begins on December 15, 2018. As Official Champagne Supplier, the Maison and its champagne will be present from the winner's podium to hospitality areas including VIP lounges, as well as the dedicated fan zone - the Allianz E-Village.